Hi Lauren! What is usually your favourite way to catch up with a friend? Normally at a gig, I like to be doing something or watching something as well as catching up. Or else I am an avid penpal. I'm a 30 something from Essex. I have a nephew and furr nephew who keep me busy, and I am a journalist and copywriter by trade. I love to craft and have been making for years, but I also enjoy books and films, supporting Team GB and some of my favourite sports people, Disney, Harry Potter, Take That, lots of other music, collecting postcards, and cycling/being outdoors. 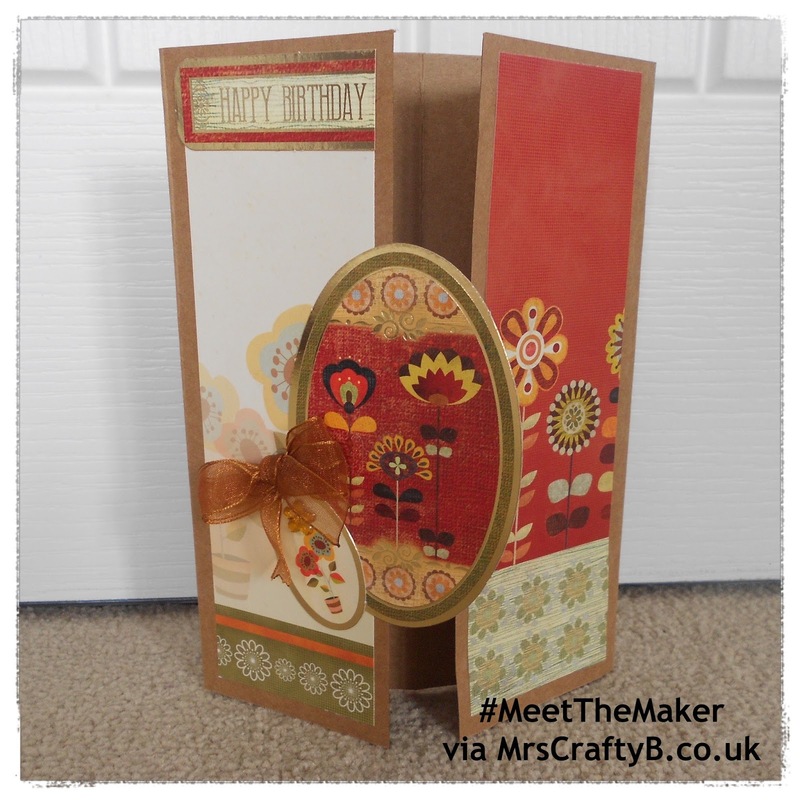 This is a card I made from a Hunkydory kit I got last year but had yet to use. There's not many techniques involved, although I scored and folded the card a bit differently, and also made my own bow using the bow maker attached to my Ultimate Pro (great investment piece for crafters). The bow I just couldn't figure out how to do at first, even from watching video tutorials, but I mastered it in the end and love how you can easily wrap the ribbon around multiple times to create double and triple bows. This card was mainly about layering and how I was going to mix and match the toppers and papers. I'm self taught, I just picked up a cheap card making kit years ago and played around with it, decided I liked doing it, and started investing in a few more things. Kits are a great way to start, everything is there and you normally get an inspiration sheet as well. I started purely on my own - no google, nothing beyond some basic ideas on a sheet to get me going. I have a book on paper folding/teabag folding/origami I use quite a lot, and I have the DVD for my ultimate pro embossing board which is a great help. I also buy magazines sometimes, especially for inspiration on seasonal makes such as Christmas and Mother's Day - I'm quite picky though, I only buy what I think I'll get the most out of. Sometimes I'll put the TV on and turn on the craft channels - I think they go on a bit sometimes, but they are useful for card making, and how to layer and arrange your cards, and new techniques. I am also a big fan of kits to get you started with new crafts and for ease of having everything to hand. So what inspires and motivates you? The thought of making cards or gifts for other people and their reaction, it's a great feeling surprising others. I just love it when I'm inspired really - my head is full of the project, how it will progress and the end result - it's exciting, especially when it's a craft I've not tried before, I love a challenge. I'd love my own craft space but that's never really happened, so it's normally on my bed/bedroom floor or on the kitchen table. 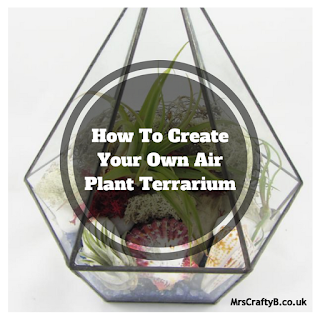 It's hard pinpoint one craft, I love it all, but I'd have to say paper craft, simply because it's so versatile - with paper alone you can make so many different things, but you can combine with other crafts to make plaques, gift boxes,card toppers etc. Sometimes I design and take my own photo's for cards, or use different materials such as fimo to make toppers, all good fun. I met some great origami artists recently and I really need to share my paper flowers on the blog. You are right, paper is extremely versatile and makes for some wonderful creations. Do you have any crafting tips? One of my real bug bears is when people are scared and nervous of trying - don't be. The whole point of crafting is that it is okay to make mistakes and make a mess. You never know what you'll like or how good you really are until you try. There's a craft for everyone. Apart from the great range of basics Baker Ross have, I really rate Hunkydory, their club is free to join and you then get access to lots of inspiration, and club gifts which are free or the cost of postage. They have a great range of paper craft kits, and I like how they do concept cards as well which is something you don't really see in the shops. Even a topper kit can go a long way. There's a group called Craft Blogging Central which I enjoy on Facebook. It's a friendly group and nice to see some real and genuine interaction, the ideas fellow craft blogger come up with are amazing. Well I was straight over to join the Craft Blogging Central group! Where can we find you personally online? I'm on Etsy and have my own lifestyle blog, These City Days. I have hopes of writing more craft content professionally, and may try to show my designs/ideas off to more places. I am part of the Baker Ross blogger network, and get to come up with ideas using their products, which is a lot of fun, challenging too, as I like to try and do something different, and have been sent items I've never used before, such as porcelain pens. Double sided tape - lasts for ages, inexpensive, if you buy a decent brand, it can be cut and shaped to size and used on so many things. 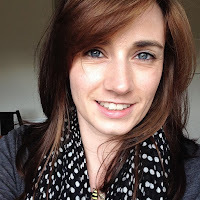 Sara Davies, I just love the story of how she created Crafters Companion and her Dads involvement in the business. She comes across as a lovely down to earth lady who has worked hard on her business. I go from having nothing to some bouncy music or a rom com, just depends on my mood. Apple crumble in winter, and sorbet in summer. I suffer from anxiety and mild agoraphobia, and one of the things I am most proud of is a piece I wrote on how writing helps my mental health. It's a cause that's very close to me, and if I can inspire people through my writing in some way that is amazing. I am proud of the craft features I have had published as well. 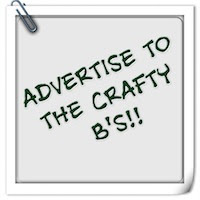 Thanks so much for sharing your crafty world Lauren and hopefully the Crafty Bs will pop over to say hi! The detailing on this card is absolutely exquisite - so much nicer to receive a card with the personal touch like this. I'm going to check out Lauren's blog right now! I agree. I love receiving something handmade like this.